The Fred Drummond Home in Hominy will host an Antique Doll exhibit throughout the entire month of February. This exhibit will feature a wide array of German-made dolls, including dolls by Armand Marseille, Kestner, and Koppelsdorf. There also will be a large group of china and porcelain dolls. Of course, paper dolls will be included too! 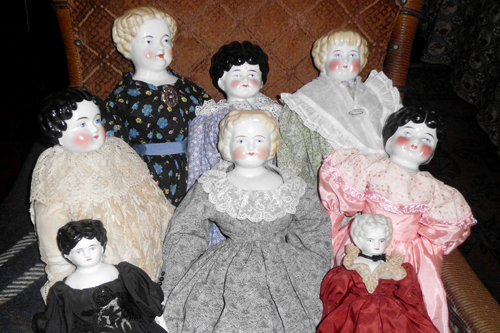 Along with the beautiful dolls on display, visitors will be able to learn about the history of various dolls. If you are a doll collector, an avid doll lover, or a mother or grandmother who has a special little girl or girls, this exhibit is sure to delight. During your visit, you are encouraged to tour the rest of the beautiful, historic Drummond Home. The Antique Doll exhibit is included with the regular admission fee.